Movember will be a busy month for Ahrens Bicycles with the start of (2) new steel road frames and my continued effort for stellar facial hair growth. 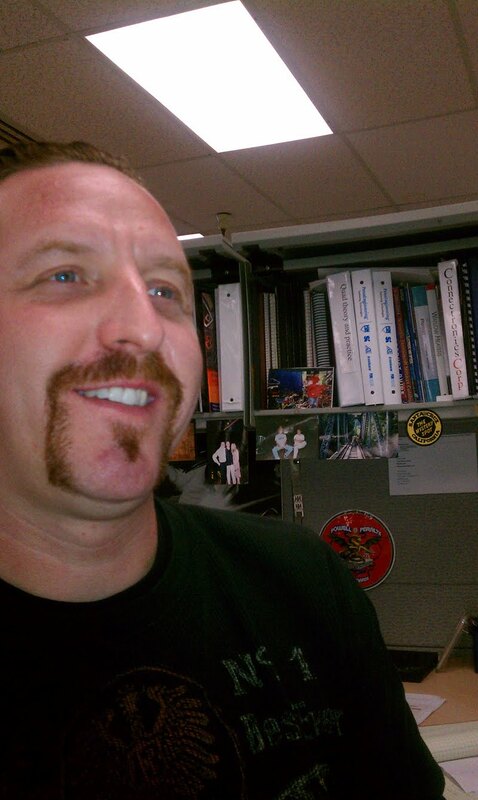 Movember is changing the face of men's health awareness as they say. My daughters recently told me that I looked like an old-man with the facial hair and that was funny because I felt like an old man when they said that! 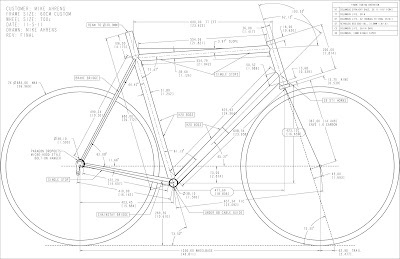 The first road frame is for my long-time college friend Scott and the second is for myself of course....it's not too hard for me to find a reason to build a new bike. Both will receive a mixture of Columbus Life tubing, Paragon dropouts, Paragon BB shells and of course custom geometry. 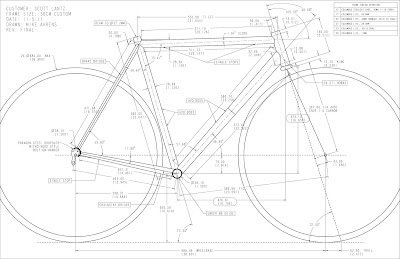 Scott's frame will be built up with Campy Ultra Record 10-speed from a previous project and will be rounded off with handmade DT Swiss/Mavic Open Pro wheels and an Enve carbon fork. 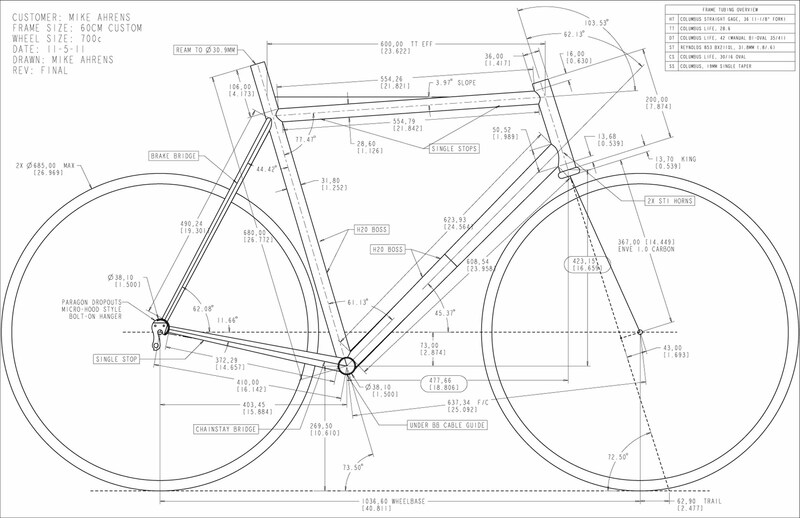 My frame gets an extra-tall Reynolds 853 seat tube for added stiffness plus it looks cool. I plan to swap Dura Ace 7700 parts from my existing road frame with the exception of the cranks...special thanks to Ryan for hooking me up with some brand new Ultegra 34/50T compact cranks...much easier on the knees for this old man. 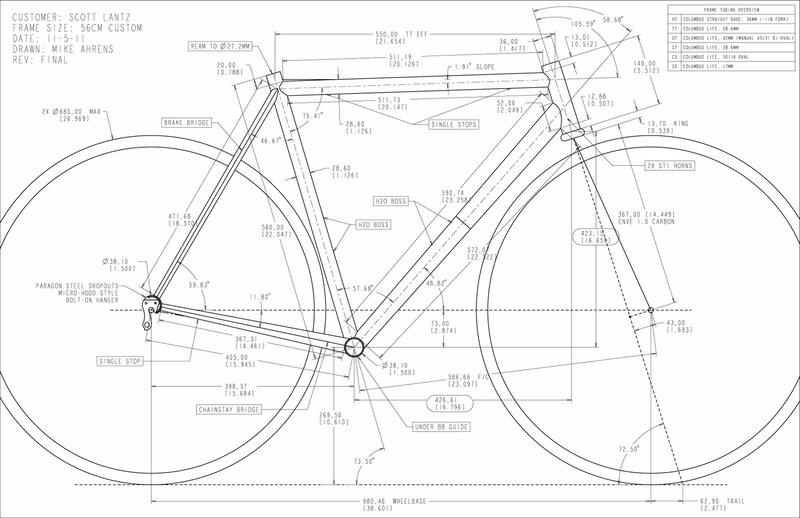 I'm also developing a very new, ultra-stiff aluminum track frame for NAHBS....very stoked about this project but too early to show anything so stay tuned.